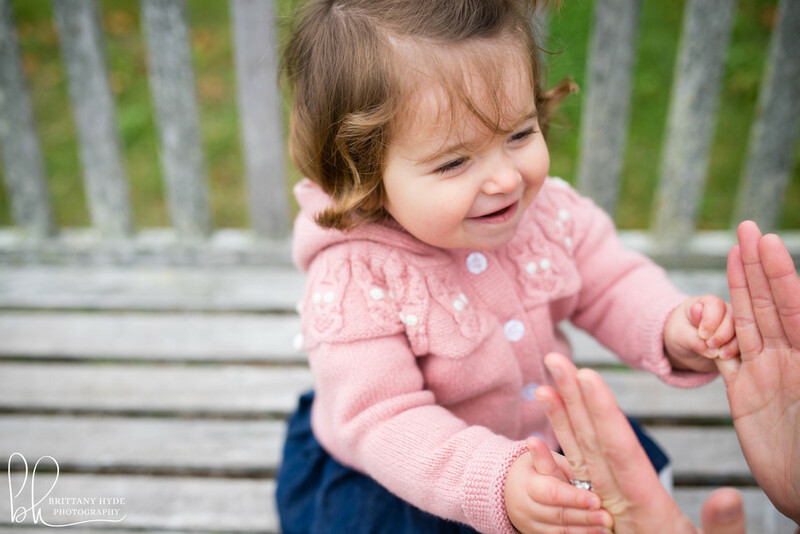 Year Two: The Macklin Family — Brittany | Hyde | Photography. 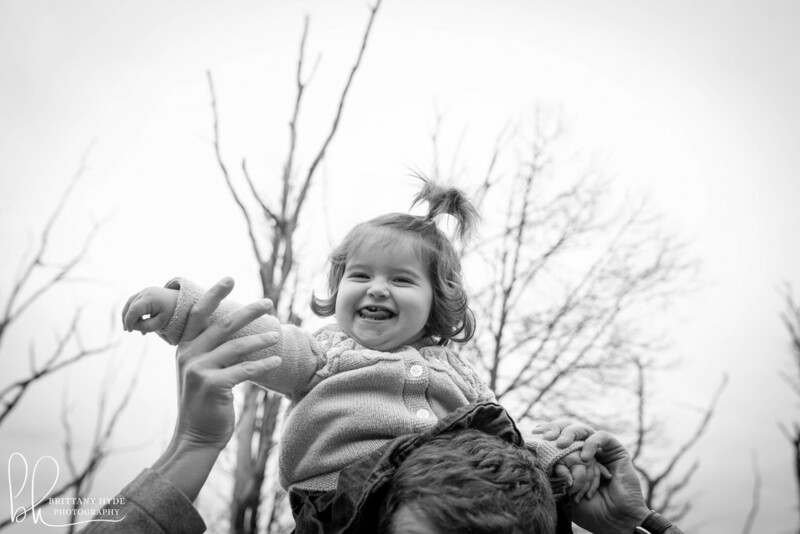 Photographing a family two years in a row is really fun for lots of reasons. 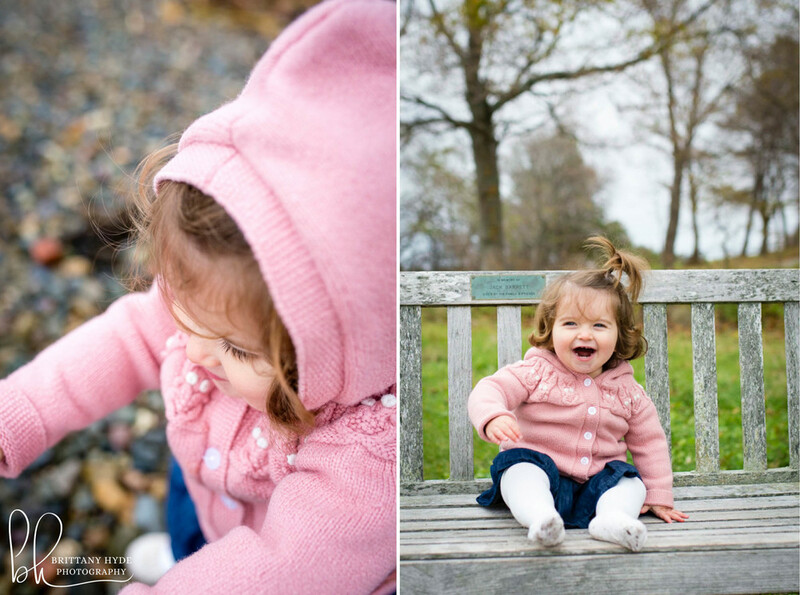 Photographing a baby-turned-toddler is extra fun. Seeing how much has changed between four months and 16 months is part mind boggling, part exciting, part sweet as can be. Looking at the shots from last year, Parker's personality was so obviously already shining through - so many giggles for no reason, just so generally happy. Somehow I hadn't seen these guys since that last shoot, the past year getting away from us so quickly that all of a sudden it was October again. We returned to World's End in Hingham, this year not as sunny (actually pretty brisk and grey) but we walked around the other side of the park, admiring how the late fall foliage was still holding on tightly. 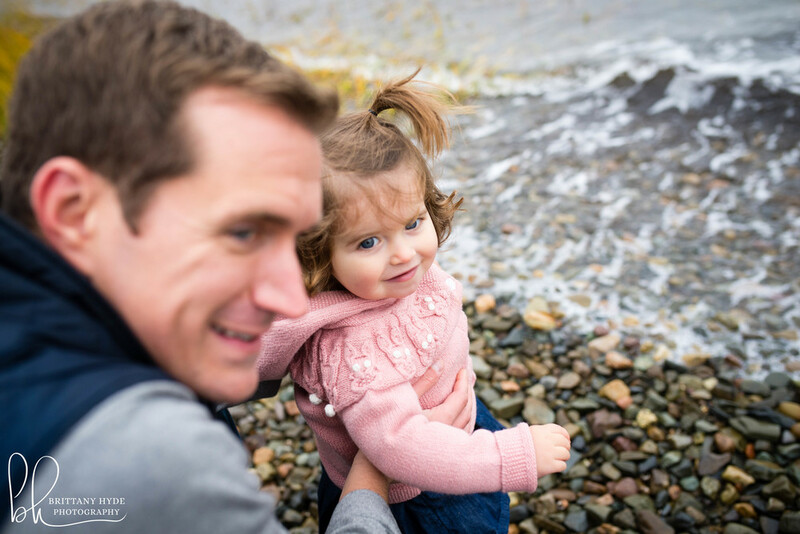 By far my favorite part of the shoot was watching Parker being held back from running into Hull Harbor (more or less open ocean) - she is a true water baby, one after my own heart! Laura, Justin & Parker, I just love watching you guys grow as a family, thank you so much for giving me the privilege to do so. Let's not be strangers in 2016!